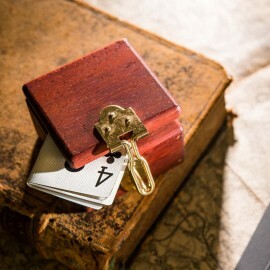 Our range of products is manufactured by magicians for magicians. Directly inspired by the Lippincott Box, created in 1949 by Jack Lippincott, its principle and functions are no longer presented. Here is the smallest "Ring box" box on the market. Its small size makes it a formidable tool. The Compact Box is available in 3 different colors (oak, wenge, padouk). Explanations booklet only in French.
! 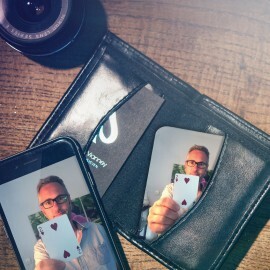 Beware of counterfeits!Magie-Factory (https://magie-factory.fr) & Ellusionist (https://www.ellusionist.com) are the only ones able to assure the customer authenticity of the product, quality and after-sales service / guarantees! Warning ! 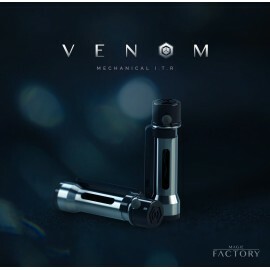 This pack does not allows you to do majority of the effects from the teaser (Two I.T.R Venom needed). It took two years of work and research, more than a dozen prototypes, to develop a tool that is easy to use and practical, ensuring I.T enthusiasts a quicker reset in the event of a break, and a large versatility of use.